Ayoyinka Johnson (Mrs.) is a graduate of English Studies from Ogun State University, Ago-Iwoye, Ogun State, Nigeria; she is currently running her Masters programme in International Relations and Strategic studies at Lagos State University, Nigeria. She joined Integrity as a projects officer and has worked on several projects. She coordinated the Integrity Club for some years when it was still a correspondence-based club and has worked on others like the Business Action Against Corruption (BAAC – I), Business without Borders projects and others. She currently holds fort as the Public Engagement Coordinator. She is responsible for ensuring that the Organisation’s activities are actively in the Public eye and ensures that the organization’s brand is widely recognized. Yinka’s role involves composing, editing and managing the production of a full range of communications material to effectively support the organization’s goals and mission to diverse constituencies. She is also responsible for devising engagements on platforms designed to generate and sustain public debate around specific anti-corruption issues in collaboration with the Consultant Media Director and our Research & Public Policy Manager. She is responsible for writing speeches and developing press releases for management and also developing content for our newsletters and magazines, draft articles and reports on the status of major initiatives for distribution to stakeholders: members, prospects, the general public, volunteer support groups and special interest groups. Ms. Oluwayemisi Soile has general oversight functions for Administration, Finance and Human Resources matters of the Integrity Organization / The Convention on Business Integrity. Prior to her present position, she held the position of Director, Stakeholder & Support Services January 2014 – August 2016. She has at various times served as Office Manager, March 2005 to December 2006; Grants Administrator, January 2007 to December 2008 and Overall Company Administrator (Integrity / CBi) January 2009 to December 2013. Her core tasks include finance control, project scoping and oversight, performance management and benefits realisation. She is responsible for ensuring proper scope management – all work and no more, needed to deliver client projects on time, within budget, meeting required levels of quality whilst managing all associated risks. Oversee tracking and reporting team hours and expenses on a monthly basis. She manages strategic elements of the Integrity / CBi programmes and projects portfolio, including budgets, as well as internal and client expectations on quality and strategy. Oluwayemisi is entrusted with the task of seeing to the effective and efficient planning, organizing, executing and controlling the daily office administration, ensuring that all administrative policy and guidelines are complied with in the Abuja, Lagos, Kano and Kaduna office locations of the organization. Oluwayemisi has well over 25 years of broad professional experience spanning various functions such as Administration, Finance, Program Management, HR and Sales-Relationship Management. Prior to joining the Integrity Organization / The Convention on Business Integrity in March 2005, she was Admin, HR & Special Duties Manager at Tehila Communications. 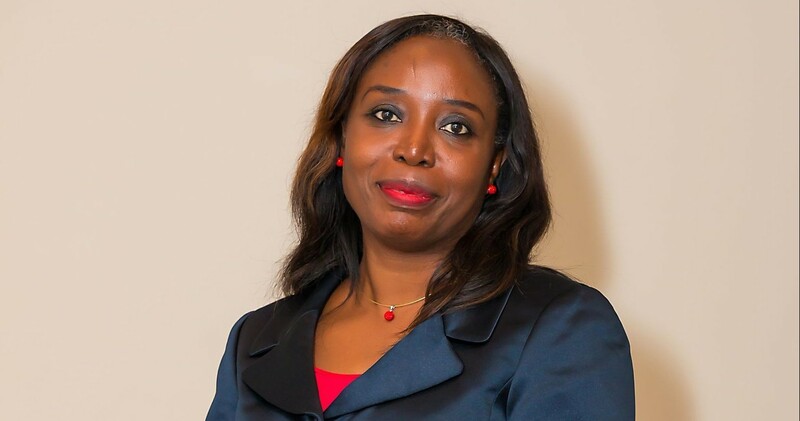 She holds a B.A degree in Philosophy from the Ogun State University (now Olabisi Onabanjo University), and an Advanced Diploma in Computer-aided Secretarial Administration of the University of Lagos. She has at various times attended courses and seminars in Nigeria, Bangladesh and the United Kingdom. Oluwayemisi sits on the Governing Board of Integrity September 2014 till date. Kyura Nyam-Wakkias holds a degree in Law from the University of Abuja and since joining the organization, her responsibilities include ensuring the organization’s regulatory compliance – building an inventory of applicable laws, rules and regulations, legal framework for the fight against corruption, trends in the administration of Justice System and implications for fighting corruption, provides contracts management and company secretarial support. She keeps a picture of the administration of justice system in all parts of the country and monitors trends, including cases of corruption, progress on the cases and offers legal analysis on the situation. Kyura conducts legal research and provides legal advice to the relevant decision makers in the organization. Oluseun Akande is responsible for account payable, ensuring all vendors follow due processing, reconciling retirements from consultants and staff, negotiate and process invoices receive from vendors and ensure payment is made after all certification and approvals. He’s responsible for maintenance of organization’s assets and oversee anything that has to do with logistics in the organization. 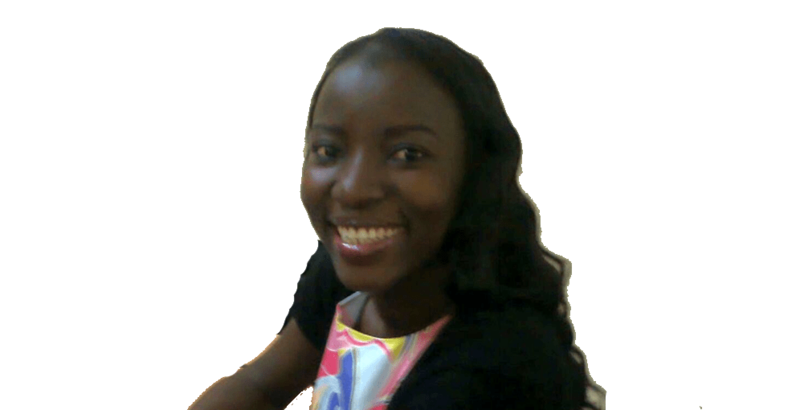 Oluseun Akande is a BSc holder in Accounting from University of Lagos. Prior to this role, he handled offices of Admin Officer, Admin and Logistics Assistant. Cynthia Akpomudiare has over 22 years’ experience in the capital markets in Nigeria. She worked with The Nigerian Stock Exchange in various departments; listings, strategy, HR, broker-dealer and finally in business development between 1991 and 2014 when she retired. Major miles stones includes the introduction and implemented financial penalties to quoted companies for non-compliance with the NSE’s post listing requirements between 1994 and 2001, Secretary to the Merit Award Committee responsible for short-listing quoted companies who met all the requirements; prepared the Winners List between 1994 and 1998, conducted call-over trading activities on trading floor from 1992 to 1997. She was instrumental to the setting up of the call over trading system at the Sierra Leone Stock Exchange as a consultant/Adviser from January to July 2010, and the NSE international road shows that increased foreign investments from the Nigerians in the diaspora into the Nigerian Capital Market between 2004 and 2008. She was also a member of the steering committee on the Corporate Governance Rating System at the NSE during the developmental stage prior to the launch of the pilot phase. She has a Bsc and an Msc from the universities of Benin, Benin- City (UNIBEN) and Lagos (UNILAG) respectively. Olaoluwakitan Babalola is a creative professional with over six (6) years of experience in the nonprofit and development sector especially in education, poverty alleviation and social development. She is familiar and confident with program management, content creation and effective stakeholder management in government, organizations and low-income communities. Olaoluwakitan is currently the Program Officer, Corporate Governance Rating System (CGRS) at The Convention on Business Integrity (CBI) – a program implemented for listed companies of the Nigerian Stock Exchange (NSE). Her role is centered round project documentation & compliance, liaison between CBI, the NSE & listed companies as well as managing key features of the CGRS program such as the Fiduciary Awareness Certification Test or training for Directors, Verification exercises and Stakeholders Assessments. She has a Bachelor’s degree in Biochemistry from the University of Ibadan and intends to get Graduate degrees in International Development and Public Policy in the nearest future to further drive her continuous advocacy for the resolution of other global development issues, especially the ones pertinent to Nigeria and Africa. Emmanuel Akinsafe Ogunjide’s primary role is to prepare and analyze financial reports to assess accuracy, completeness and conformity to reporting and procedural standards. His other responsibilities include ensuring proper documentation, collation and retirement of fund to donors, providing tax advisory function, budgetary control, and providing advice to management on financial issues. He holds a Higher National Diploma from The Polytechnic, Ibadan. Babatunde Oluajo is development practitioner with close to 20 years’ experience working on governance, accountability, transparency and anti-corruption issues. His programmatic and management experience spans local and international NGOs. Babatunde, is a fellow of the Marquette University Les Aspin Centre for Governance, Washington DC. He is also a Chevening Scholar. Mohammed J Doko is the Monitoring and Evaluation Manager supporting BIF with technical advice on results and strategies, using the DCED system. His core responsibility include ensuring that the logics informing interventions are responsibly coherent and supported by current trends in the market. These logics then function as the pivot that underpins the “targets” laid out in the Logical Framework that he manages. Mohammed is also responsible for ensuring that performances are tracked and presented in a manner that enhances organizational learning. Impacts or changes in the targeted beneficiaries are also studied, and findings shared for wider sector learning. 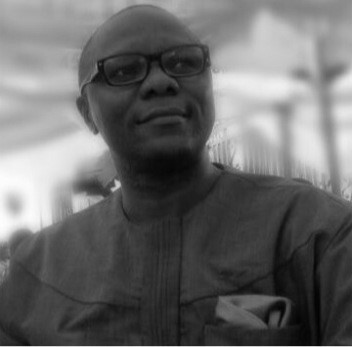 Ike Ilegbune serves as Director of Operations on CBi’s DFID-funded Business Innovation Facility (BIF) programme. Prior to his current role, he has previously served as Development Director and as Country Manager (Southern Nigeria) on the BIF programme, and also had a role in the pilot of Corporate Governance Rating System (CGRS) amongst other CBi assignments. He holds degrees in Law from University of Nigeria and the London School of Economics, and also holds a business degree from the University of Warwick Business School. He is a certified project manager and also holds a diploma in Lean Systems from the University of Cardiff. Patricia Ekpo monitors and evaluates project implementation and trends in the operating environment, risks, implications for organization’s operating model and ability to achieve geographical reach, grassroots penetration and youth inclusion. Patricia monitors the implementation of key strategic projects related to the organization’s strategy and is responsible for the development and evaluation of appropriate indicators and measures to ensure the relevance, reliability and validity of performance data whilst also facilitating development of research surveys (through Research and Public Policy Manager) to assist in the identification of strategic and service delivery issues. Patricia holds B.Sc. in Mass Communication from the Ahmadu Bello University, Zaria. Ilawole Oluwatosin Isaiah is the Aquaculture Market Manager for Business Innovation Facility. He holds a Bachelor of Science Degree in Sociology from Lagos State University and a Master’s in Industrial and Labour Relations from Obafemi Awolowo University, Ile –Ife. Prior to joining CBI, Tosin worked on the Aquaculture Value Chain of PIND Foundation. Tosin Joined CBI with working experience in implementing Market Systems projects. Olufemi Ojo has worked over the last 13 years on different international donor funded programmes in Nigeria with particular reference to cassava value chain projects. He is a Rural Agricultural Development professional with broader Knowledge of the Nigerian agricultural sector having vast experience on enterprise development and management, agribusiness, market research and analyses. Olufemi Ojo joined CBI on June 25, 2016 and currently works as Market Manager – South managing the Cassava Market subprogram of the Business Innovation Facility, a UKAID funded programme in Nigeria. Part of his responsibility is to design intervention on the cassava market strategies identified and support service recipients in implementation of the intervention pilot. His intervention-related deliverables including but not limited to intervention management plans, progress reports, written outputs to service recipients and M&E reporting. Working with the BIF Nigeria team, Olufemi Ojo believes his contribution will improve the targeted smallholder farmers’ returns from cassava farming while creating commercial opportunities for other market participants. Mr. Kator Abaagu’s job purpose is to understand the role of institutions, power and the underlying context of development in Nigeria by conducting historical analysis; tracing the interaction of political and economic processes in the Nigeria society. He uses history to analyze trajectory of power structures, institutions and agents; conducts political and economic analyses on incentives, interests and agendas of actors to determine barriers and opportunities for change. Kator carries out literature searches and reviews and carries out stakeholder identification, mapping and analysis. Kator is an MA. Global Development and Political Economy of International Resources degree holder of University of Leeds, West Yorkshire, England. Agbojo is a social development entrepreneur with expertise in poverty reduction strategies-micro finance, programme development and grants management, community mobilization, public finance management and public sector reform, legislature and parliament, civil society engagement and sustainable development-Climate Change and Environmental issues as well as corporate management. He has over 16 years’ experience in Nigeria, West Africa sub-region (Ghana and Senegal) and Europe (Denmark, Poland, Germany, Mexico, Indonesia). He has worked with programmes supported by National and International Non-Governmental Organizations like Justice Development and Peace Commission, Henrich Boell Foundation and Department for International Development (DFiD). He is a co-founder of Y2K Adeogo Enterprises, Governance and Environmental Resources Outfit, a Non-Governmental Organizations and Social Development firms in Nigeria. Olabisi Florence Oghogho is an inspired, energetic and dynamic woman with over 10 years working experience on development issues. Started her career working with the State and Local Government Programme (SLGP) a UK funded Department for International Development Programme (DFID). Thereafter, worked with the State Accountability and Voice Initiative (SAVI), Lagos – also a DFID funded Programme, where she had the mandate to strengthen the voice of the citizenry in governance. In the SAVI programme, she was saddled with the task of mainstreaming Gender Governance issues in various partnership activities in Lagos State. She is a member of the Lagos State Domestic and Sexual Violence Response Team (DSVRT). Working with the Legislatures for institutional strengthening, she played an integral role with the team of facilitators that conducted the induction Programme for the Lagos State House of Assembly in this 8th Assembly. Olabisi also led the Lagos State House of Assembly through series of self-assessment, as well as co-facilitated them during a capacity building programme on Leadership that held in Chicago, United States of America. Her practical skill-sets cover facilitation, advocacy, policy monitoring and evaluation, building partnerships on issue based subjects, conducting research etc. Olabisi is a graduate of Banking and Finance from University of Ilorin (UNILORIN) with a certificate in Accounting from the same institution and further international courses including Monitoring, Evaluation and Learning in the Netherlands. She has a Masters in view on International Management at the University of Liverpool, UK. Josiah Aramide is a development policy researcher and scientist with a combined experience of over ten years in both fields. In 2016, he joined the Integrity Organization’s Southwest team delivering the new DFID governance programme – the Partnership to Engage, Reform and Learn (PERL), as a Regional Partnership Facilitator. Prior to this role, Josiah helped organizations find solutions to public issues and projects in energy governance, local governance, infrastructure and environmental consulting as well as in other socio-economic sectors. In 2014, he led a research team to complete the second edition of the Benchmarking Exercise Report for the Nigeria Natural Resource Charter (NNRC). Josiah also led a capacity building and research analysis project for unions (NUPENG, PENGASSAN, PTD) and other stakeholders within the petroleum sector to develop policy instruments for improving engagements on the Petroleum Industry Bill (PIB). Over the years, Josiah had worked closely with other DFID programmes in Nigeria including: the Facility for Oil Sector Transparency in Nigeria (FOSTER); State Accountability and Voice Initiative (SAVI); and Enhancing Nigerian Advocacy for a Better Business Environment (ENABLE) to help improve the structure, organization and objectivity of demand-side governance. Before moving into the development space, Josiah was a member of the academic community where his work focused on environmental research and climate analysis within a framework of offering scientific evidence to support 21st Century public policies especially as it concerns climate change and sustainability. His current interests span evidence-based research in sustainable development, effective governance mechanisms, systems innovation, and the environment. Josiah has a strong analytical background and a passion for progress that drives unique perspectives in diverse situations. He holds a Masters degree in Physics from the University of Ibadan, Nigeria and a professional certificate in Natural Resource Management and Policy from the School of Public Policy at the Central European University in Budapest, Hungary. Kayode Iyalla is a media development expert with about 10 years experience in the media and development space. He began his career working on a weekly insert in The Guardian Newspapers “Executive Brief” and thereafter moved to The Nation Newspaper where he had a stint. Iyalla has served as a Media and Communications Consultant for the World Bank supported programme – Ibadan Urban Flood Management Project in 2016; lead facilitator in the DFID South-West Regional Workshop for Media Managers and On Air Personalities (OAPs) on Reducing Maternal, Newborn and Child Mortality in Nigeria; led, session in engaging media to understand the Lagos State Service Charter in collaboration with the Lagos State Governor’s Office of Transformation (OoT); supported the media campaign in the Bill and Melinda Gates supported programme, Nigeria Urban Reproductive Health Initiative (NURHI) and many others.